Gather at our family table on August 31st to experience our summer harvest! 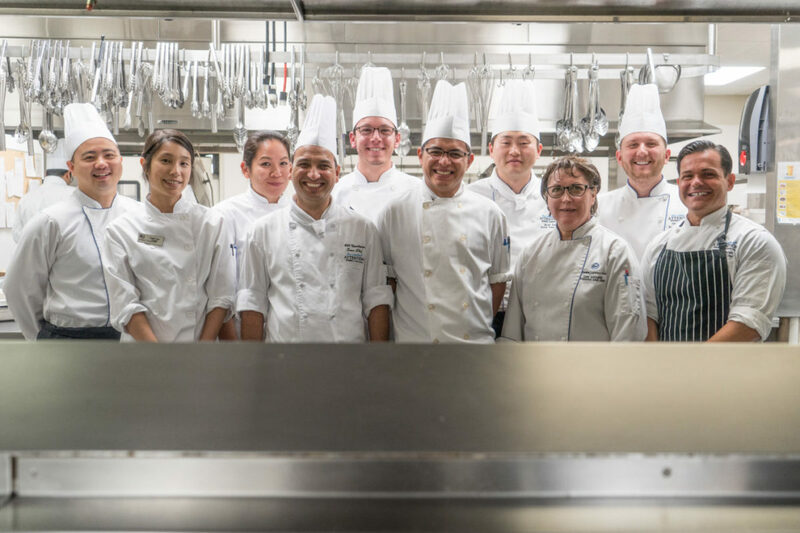 Executive Chef Serge Belair, Executive Pastry Chef Jason Wang, Sous Chef Lalit Upadhyaya, Junior Sous Chef Myles Fedun, and the rest of the Edmonton Convention Centre’s award-winning team of 11 Red Seal chefs will prepare a family-style barbecue dinner for 50 guests. Refreshing and grilled appetizers, and an interactive main course will showcase the creativity and innovation of our chefs. This harvest highlights our commitment to using fresh ingredients from our own gardens and local community growers. Our summer edition features our partnership with Strathcona Spirits to provide a barrel aged Gin cured beef on the menu! Paired with a signature drink and fine wines, this is an exclusive opportunity to enjoy drinks on our patio overlooking the River Valley and dinner in Hall D.
Tickets are $150 (plus GST/service charges) each and are going fast! Please communicate any dietary restrictions in advance to Annia Motes at amotes@edmonton.com. Time: Reception 6:00 p.m. / Dinner 7:00 p.m.